← Are You Ready for Sónar 2012 in Barcelona? Barcelona offers hundreds of ways to see the city, each one more fun and interesting than the last. With bus tours, walking tours, and even chocolate tours, there are plenty of unique trips and excursions allowing you to take in the sights of the Catalan capital from all different angles. But as the hot summer months return once again to the city, visitors may want to look for something a little more refreshing. And what better way to cool off than by enjoying a nice sea breeze onboard a boat tour? Whether it’s a simple family outing you’re after, or an all day booze cruise, there is a boat tour in Barcelona for everyone. Plus you can book easily online (many Barcelona apartments provide free Wi-Fi connections) or head down to the ports of Barcelona to reserve your spot and have a chat with the guides about exactly what to expect from your trip! Below we give you just a few of our favorite boat tours in Barcelona! If you enjoy a bit of an adventure then this trip has your name on it! 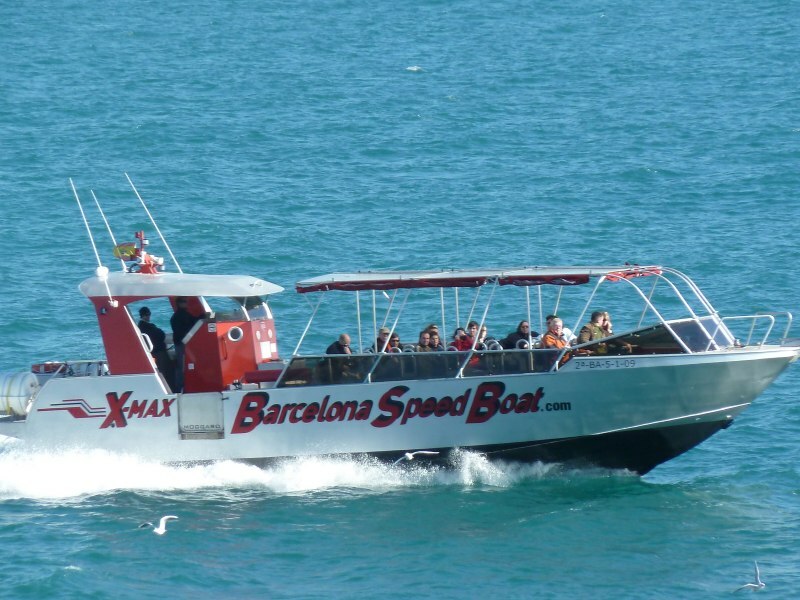 The X-Max Speed Boat Tours allow you to blend the calming nature of the sea with the thrill of a speed boat. The fifty minute tour kicks off with an up-close look at the huge Barcelona fishing fleet and some of the many super yachts that fill the Port Vell harbor. You are then taken through Port Olímpic for some incredible views of the city, finishing with a loop around Port Fòrum. Despite its short run time, this tour is sure to satisfy your need for speed. On vacation in Barcelona with friends? 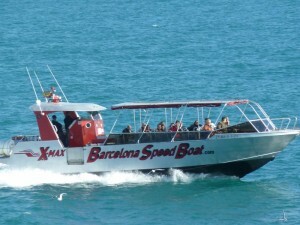 This Barcelona boat tour also accommodates big groups and private charters! 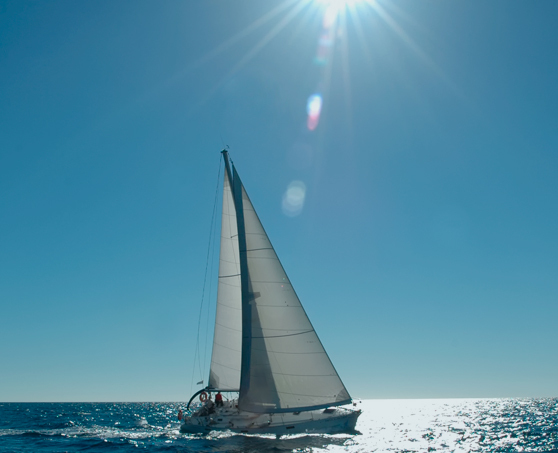 What could be better than learning to sail on the waves of the spectacular Mediterranean Sea? Barcelona Sailing Trip offers visitors a two hour sailing excursion along the city’s beautiful coastline. Here, you will be taught basic sailing techniques from a trained English instructor while taking in the sights of Barcelona’s Port Olímpic. Don’t forget to wash down your new found skills with a complementary glass of Cava! If you’re already an experienced sailor, get some friends together and head down to the shore. 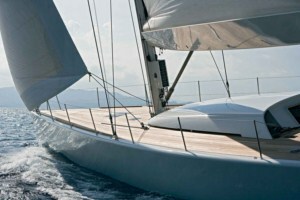 There, you can sign up to charter your own sailboat for a few hours with Barcelona’s Skyline BCN. Under the guidance of a professional skipper, take turns captaining the boat while others go out for a swim or catch some rays on the deck. You can even rent a yacht, a motorboat, a catamaran or a jet ski: there’s something for everyone! So, don’t miss out on this opportunity for an amazing sailing experience. If you’re in Barcelona on a stag or hen do, or even if you just love to party, then you cannot miss this boat tour. The Barcelona Boat Party by Stoke Travel sets sail three times a week, with trips ranging from a two to a three hour fiesta on board. Select your journey from three different, fun-filled parties: Boozey Thursdays, Spanish Saturdays with yummy paella, and BBQ Days on Saturdays and Sundays. Be sure to arrive thirsty because each cruise features an open bar packed full with beer and sangria. You will also find an on-board DJ pumping out the tunes, ready for you to dance the day away on the Med. What’s more, the party continues when you return to shore, as your ticket comes with free club entry and discounted drinks! Just remember to drink responsibly! 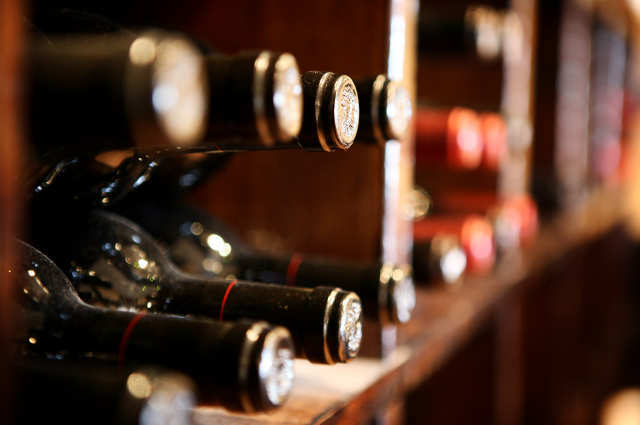 Among many of Catalonia’s scores of world famous offerings are its distinguished wines. Orsom Barcelona offers various options of boat tours in Barcelona, each one presenting you with stunning views of the city. Orsom’s Wine Tasting Cruise, however, is the only tour to combine both of these awesome Catalan attractions. This one of a kind excursion allows you to take in Barcelona’s dazzling coast, while a professional sommelier takes you through an incredible tasting of some of Spain’s most delectable wines. Taste products from the famous Rioja and Penedès regions, in addition to some from newer wine producing areas. Great for group trips, this tour is only available for private charter, but remember to call ahead to book. Marina is a writer from Barcelona and is passionate about travel and technology. "Whenever I have the time, you'll find me with a backpack discovering the world. And when don't, I write about my wonderful city to help visitors to enjoy it to the fullest." This entry was posted in Activities, Bars & Nightlife, Events and tagged barcelona activities, barcelona beaches, barcelona scenic boat tours, barcelona summer, barcelona tourist guide, barcelona tours, family activities in barcelona, summer activities in barcelona, summer in barcelona, things to do in barcelona. Bookmark the permalink.